A novel mathematical method is under way to develop anti bacteria resistance; making use of the current antibiotics available. 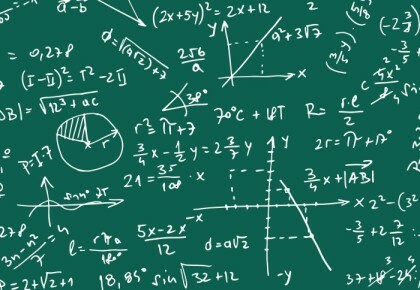 Applying a mathematical method inspires by Darwinian evolution, a group of researchers are reported to be working on deriving the new formula. The research is based on some current facts such as the concern over, over use of antibiotics and, with people developing a growing resistance to its use; also aggravated by no novel drug to subsidise this resistance. In US only, over 2 million people become infected with bacteria which are resistance to antibiotics. More alarmingly, as a result, 23,000 people are reported to die in the country because of such acquired infections. So, the best way possible, as seen by the researchers is to use the combination of these drugs in a sequence to treat such anti-resistant infections. Researchers at the Moffitt Cancer Centre in US overcame this problem by developing a mathematical approach to analyse antibiotic resistance. They showed that the ability of the bacterium E coli to survive in antibiotics could be either promoted or hindered depending on the sequence of antibiotics given. They discovered that approximately 70% of different sequences of 2 to 4 antibiotics lead to resistance to the final drug. It is estimated that each year 2 million people in the US become infected with bacteria that are resistant to one or more types of antibiotics, and at least 23,000 people will die because of these infections, researchers said. This problem is being exacerbated by overuse of antibiotics for livestock and in community clinical practice. This overuse combined with the slow pace of novel drug discovery is a growing threat to public health. According to the Centres for Disease Control, one of the core actions that can be taken to fight antibiotic-resistant infections is to improve the use of existing antibiotics. One approach to achieve this is by using different combinations or sequences of antibiotics; however, given the high number of antibiotics in existence, it would be extremely difficult to experimentally identify the best combination or sequence of drugs. “Our results suggest that, through careful ordering of antibiotics, we may be able to steer evolution to a dead end from which resistance cannot emerge,” said lead author Daniel Nichol, graduate student jointly in the Oxford University Department of Computer Science and Moffitt’s Department of Integrated Mathematical Oncology. “Our results can be easily tested in the laboratory, and if validated could be used in clinical trials immediately, as all of the compounds we studied are FDA approved and commonly prescribed,” said Jacob G. Scott, senior author and member of Moffitt’s Radiation Oncology and Integrated Mathematical Oncology Departments. The researchers explained that their results also serve as a caution to healthcare workers, as the careless or random prescription of drugs that occurs could inadvertently lead to antibiotic resistance.